2015 New Years Resolution – Know The Cause! My 2015 New Years Resolution: Watch Know The Cause Online more often! If you have never seen an episode of Know The Cause you need to watch one to get started! If you’re like me and you’ve seen them before – it’s time to commit to watching more of them! 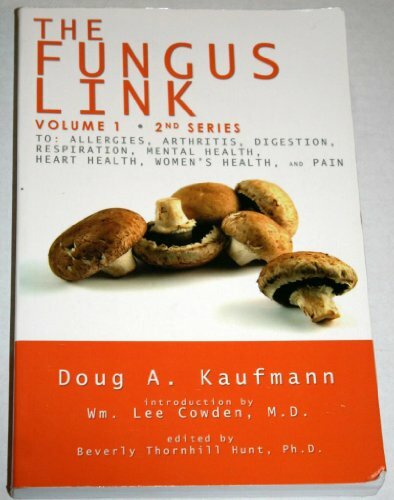 Know The Cause is a 1/2 hour TV Show by Doug Kaufmann, the author of the The Fungus Link series of books. The show is consistently packed with great advice from Doug and other nutrtionists and health professionals. While the focus is often on fungus and mycotxins. it’s also filled with health suggestions of all types that are often overlooked by your family doctor or health expert. Give it a try – watch Know The Cause on tv or online! I was having some trouble with a new Plantronics headset microphone and I did some test recordings to see if I could get rid of some annoying artofacting type sounds (mild clicking occasionally). I figured it out – the problem was Camtasia was set to record at 22 instead of 44 and I guess that caused some occasional disturbances. I was originally going to toss it but thought hey – why not put it up here.